MyPhoneGuardian manages your current or new phone system that your business utilizes. MyPhoneGuardian will do the work necessary to ensure proper use and personalization of the phone system. This is accomplished through staff training of the functions and use of the system. MyPhoneGuardian techs will assist with the ordinary day to day management and assistance of the phone system in addition to regularly scheduled maintenance to guarantee proper function of the system. Any minor or major modifications to the phone system are handled via the support staff as to lighten the use of company resources which can be used to increase productivity in the enterprise. MyPhoneGuardian support is available 24×7 for all types of issues or concerns that might arise from the regular operations or extraordinary activities. MyPhoneGuardian will not only preserve or administer the wired phone system but in addition, your wireless phone system, to allow for continuous accessibility to employees. Remotely access and program your phone to forward any calls to another line in the business or even your home or cell phone. 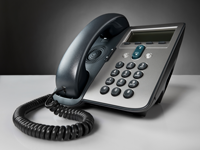 If the first phone line is in use, any incoming phone calls will be directed to the next available line. Listen to voicemails on any phone regardless if you are in the office.